Your independent source for news, events, and unique viewpoints in Cincinnati, OH. The Goebel Goats were out on Sunday and so were the hundreds who came to watch them run. 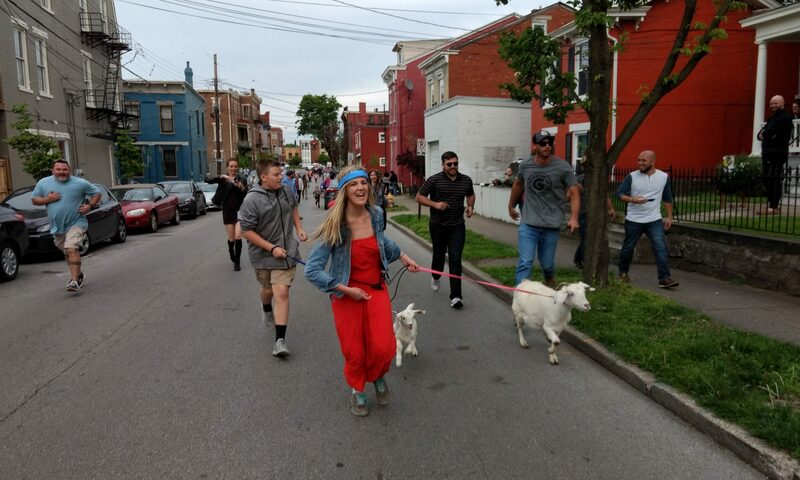 Prior to the actual running of the goats was the Westside Spring Celebration hosted by The Center for Great Neighborhoods of Covington. The celebration took place in the lot next to the old Hellmann Lumber building. There was plenty to eat, cold Braxton beer to drink, and tons of booths to check out. I’m not going to lie, I was somewhat hoping for a repeat of last year. Covington made national headlines when the goats ran loose around the city and led everyone on a 24-hour chase. George Rieveschl (inventor of Benadryl), among others. 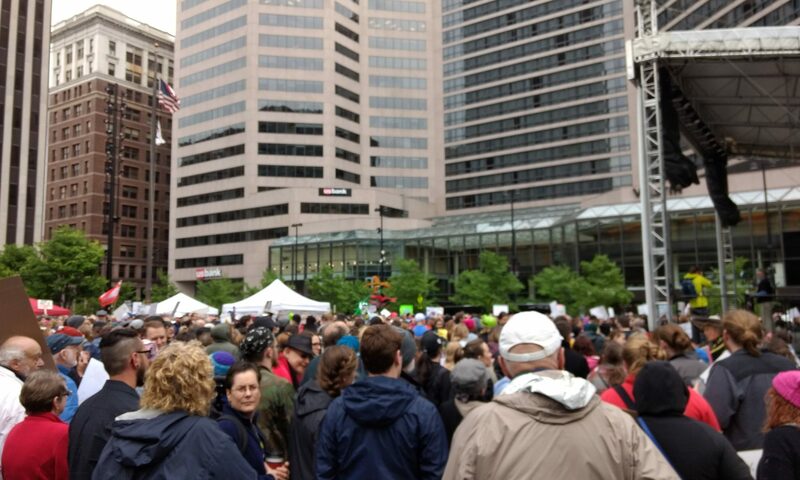 Between the speakers and the turn-out, it was hard not to be proud to be a Cincinnatian. Welcome to Indie Cincy! I’m Matt. I’m not exactly sure what this will become. I have some big aspirations. For now, it’s a blog that focuses on entertainment, events, news, and everything Cincinnati. They’ll no doubt be a strong focus on the urban core rather than the suburbs. Expect to see posts related to Cincinnati proper, Covington, and Newport. That’s not to say that there isn’t some awesome stuff going on in other areas. That’s simply what this blog will probably focus on. © 2017 Indie Cincy.com. All Rights Reserved. Articles are copyright their respective authors.